Mr. Thanksgiving shows his gratitude for QC media, his "invitations," by serving cookies from Olde Towne Bakery in Moline. Olde Towne Bakery's famous sugar cookies decorated to help celebrate Mr. Thanksgiving's 45th annual dinner. Everyone is welcome at the traditional feast on Thanksgiving Day. But specifically, Vogelbaugh wants those who would otherwise be alone to come, eat, and have a good time. Last year, the turkey dinner with all the trimmings cost about 16,000 dollars. Vogelbaugh buys the food from Hy-Vee. He already has dozens of turkey roasters, coffee carafes, utensils, and other equipment in storage. Moline High School students from the Coolidge campus help Mr. Thanksgiving load and unload the van a couple of days before the holiday. 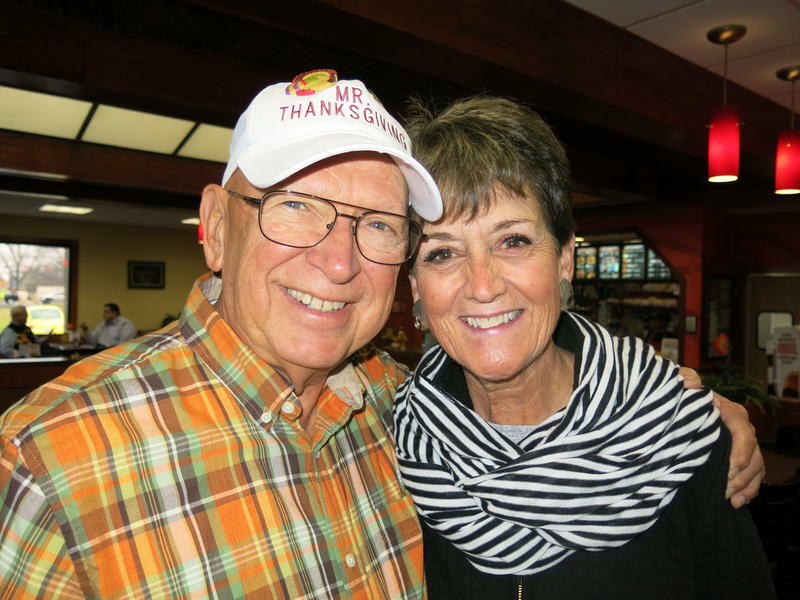 Vicki Birdsell Baker has helped him for all but the very first turkey dinner he hosted in 1970. The retired Moline schoolteacher works with up to 400 volunteers. They set up, serve meals, refill coffee cups, talk with diners, and clean up after it's all over. Depending on the weather, up to 3,000 people may show up. Dinner will be served Thanksgiving Day from 4 until 6 pm. Metro Link will again offer people free rides to the mall in Moline. But reservations are required. Bakers may drop off pies at the mall office on the holiday or the day before. Mr. Thanksgiving accepts donations by mail, and the address is 3704 26th Street, Moline, Illinois 61265. Before catching Black Friday sales, local residents have a different reason to go to a shopping mall. 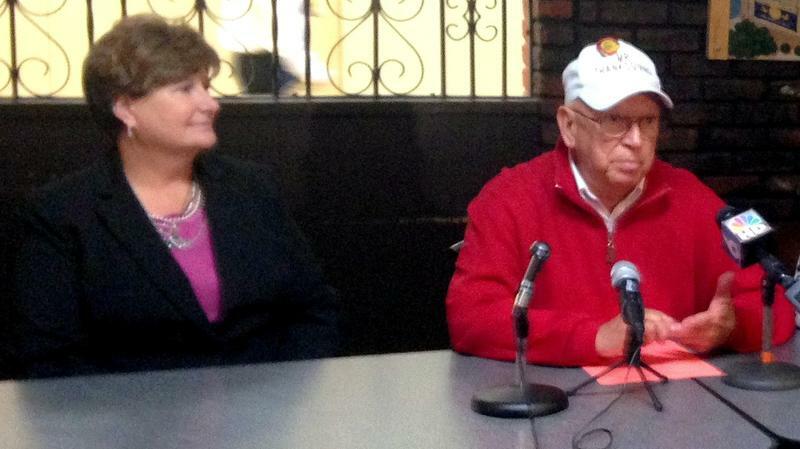 Thursday Bob Vogelbaugh will host his 44th annual Thanksgiving dinner at SouthPark Mall in Moline.